and positive growth for self, community, and the world. If you don’t know your why, you’ll never fully realize what. Challenge personal and societal paradigms by immersing individuals in experiential learning and self-awareness for transformational growth. At 6th Power™ we believe that when people access their passion and purpose, they clear a path to achieve full potential , shine a positive light on others, and impact the world with their unique gift. Clearly identifying a meaningful “why”, a purpose, is the single-most important catalyst to successfully leading for maximum impact. It takes courage to lead with compassion, listen with an open mind, and invite disruptive thinking to step-change growth. A leader with powerful presence innately inspires others to deliver an action plan with unwavering commitment. These are the Striker Leaders™ of tomorrow. Conduct transformative immersions via global offsite team experiences and individual coaching that catapult self-expression and courageous conviction. Why is Why so Important? Most leadership education today focuses on the what of leadership, which perpetuates an ongoing cycle of outdated transactional leaders. 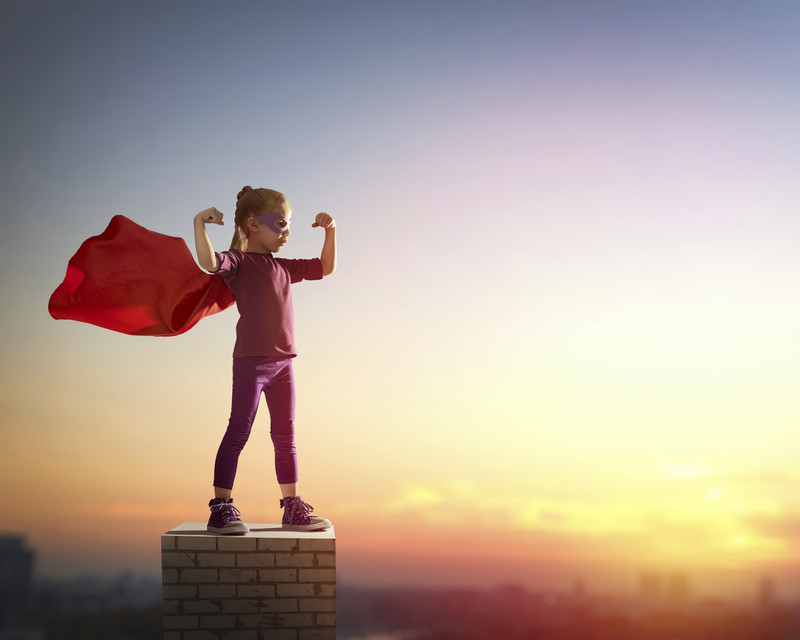 Few programs tap into the very personal and individual why of a leader and yet this why is what ignites transformational and sustainable change. 6th Power™ delivers a unique approach which flips the old paradigm on it’s head and instead prioritizes the Why, letting the What organically unfold for each participant. This distinct process helps individuals understand and engage a masterful balance between I.Q. and E.Q. that supports a holistic vision towards problem-solving and innovative thinking. 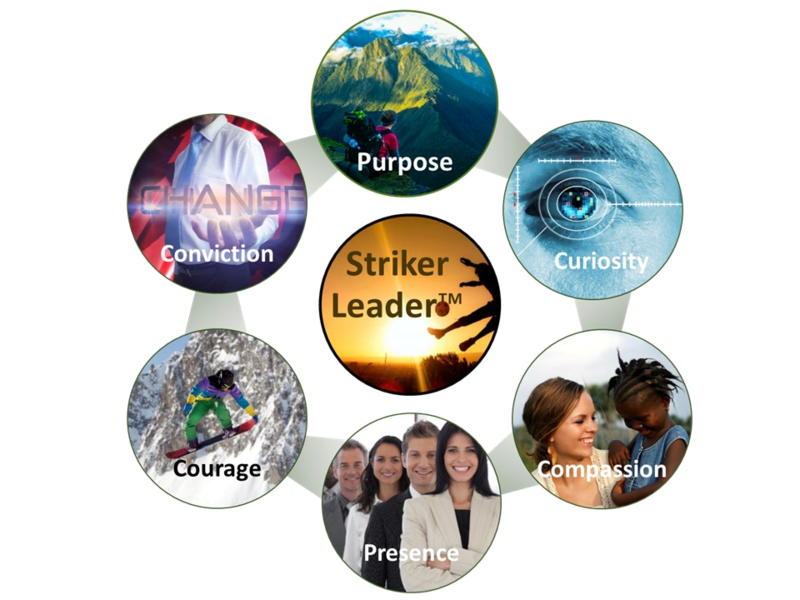 This entire approach is underpinned by six essential values necessary to create what we call Striker Leaders™. Whether one calls them Striker Leaders or just Great Leaders, the indication of success is the ability to skillfully balance E.Q. values of Purpose, Curiosity, and Compassion equally with the I.Q. values of Presence, Courage, and Conviction. This learning method is executed via a three-pronged process of Inspire, Immerse, and Transform to ensure effective adoption of skills as well as understand how to integrate learnings back into any organization’s existing competencies and platforms. Engage the 6th Power difference. What’s in it for me? (aka WIFM) mindset is genetically coded in all humans as a survival instinct. When we tap into the intrinsic desire of each individual, the Why, we tap into potential for greatness. Companies that recognize the importance of connecting each leader’s Why to the overarching purpose of the organization will create growth cultures that positively impact well beyond the annual profit plan. In this stage of the process participants will lean into themselves to create balanced purpose and passion game plans, impactful personal brand statements, and actionable network roadmaps that effectively broaden their sphere of influence. They leave this stage inspired to own and express their unique value. We remember 10% of what we read, 20% of what we hear, 30% of what we see, and 80% of what we personally experience. In this stage, participant deeply immerse in unique interactive experiences that unlock their why and connect it to the leadership values of the program. Team activities, engaging role plays, and meaningful collaborative brainstorming discussions intersect the E.Q. Purpose, Curiosity, and Compassion values with the I.Q. execution of Presence, Courage, and Conviction. Participants come alive in this stage as they release old habits and beliefs while embracing new patterns of success in a stimulating learning experience with their peers. While 80% of what we learn is from personally doing, the number accelerates to 95% when we teach others. Participants demonstgrate their new skills by leading others in small group projects, communication and presentation feedback, and sharing learning in a variety of interactions. This transformation stage allows for continued learning with professional feedback via the executive leaders of 6th Power™ along with personal coaching from an accredited ICF executive coach. In programs such as Leader Corps, participants are also paired with a Mentor Legend executive upon program completion to ensure sustainable success. Every 6th Power™ program is unique, however what is consistent amongst them all is a guarantee of satisfaction or your money back. We know our processes work and we’re willing to put our money where our mouth is. Experience the difference, experience 6th Power™. 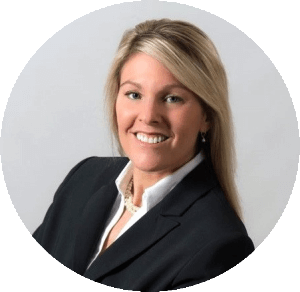 Kristin is the Founder and CEO of 6th Power™, a business that focuses on helping individuals and organizations maximize their potential through personal coaching, motivational speaking, and group training events. The goal is to first unlock the individual’s strengths, purpose, and happiness which in turn unlocks the value for the benefiting company and community. Kristin draws on her prior success as a global strategic sales, insights, and capability leader at PepsiCo, her CLI™ Executive Power Coach training, and her multiple keynote experiences inspiring others to maximize their potential. Kristin is a +20-year veteran of PepsiCo as a strategic executive, a mom of two amazing grown children, and is an adventure enthusiast. In her free time she can either be caught jumping out of an airplane, chilling with her Goldendoodle Boo Boo, reading about nutrition (her other passion! ), or ripping out drywall in a townhouse project transformation she’s engaged. She currently resides in Orlando, Florida when she’s not traveling. Born in Boston, Kristin was adopted at 2½ weeks old and was raised by her wonderful parents, Gary & Lisa, alongside her older brother Scott. 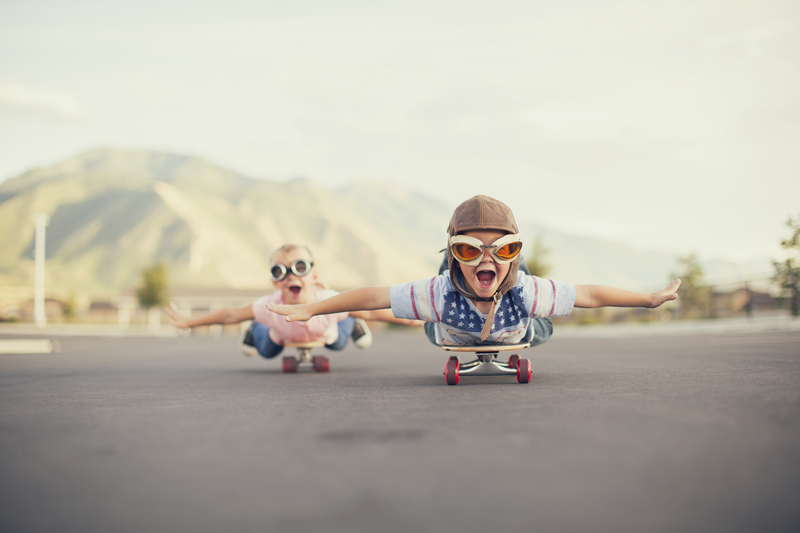 Although inherently an introvert, she learned the power of adaptability from being the “new kid” in multiple moves as a child. From Boston, to NY, to Ohio, to California, and finally settling in Rome, Georgia for her middle and high school years, she masterfully built her coping skills to mask her insecurity of feeling like an outsider. 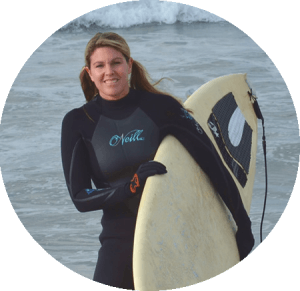 She was an athlete playing multiple sports naturally such as basketball, golf, and soccer, but was partial to her competitive swimming career that started when she was 6 yrs. and ended upon graduating high school. She attended Florida State University and received her Business degree in Marketing while balancing an active social life as a Delta Gamma, fully capitalizing on the social events with partnering fraternities. Upon graduation she immediately started as a campus hire with PepsiCo beginning her long and successful career in sales, operations, insights, global sales capability, and national customer strategy. Kristin candidly shares that often her driving force was proving to others she could do what they said or believed she couldn’t. She was the first and often only woman in the soft drink bottling plants early in her career at a time when there were no diversity counsels or women’s networks to offer support. Her “I can do anything you can do” attitude manifested as the first female Operations Sales Manager in the Southeast while located in Jacksonville, Florida. To prove to her drivers and peers that she wasn’t just the token “chick” manager, she earned her Class A CDL and drove open routes in her territory whenever needed. In 1992, The young blonde with a ponytail got a lot of stares every time she jumped out of the driver’s seat, opened a truck bay door, and started loading the trolley with an order of heavy soft drink cases. If you want a good laugh, ask about her Wendy’s drive-thru experience in a 14-bay Pepsi truck. Her drive and curiosity to find the most effective solution to a challenge helped fuel her success as she navigated a thriving career as a global PepsiCo executive. 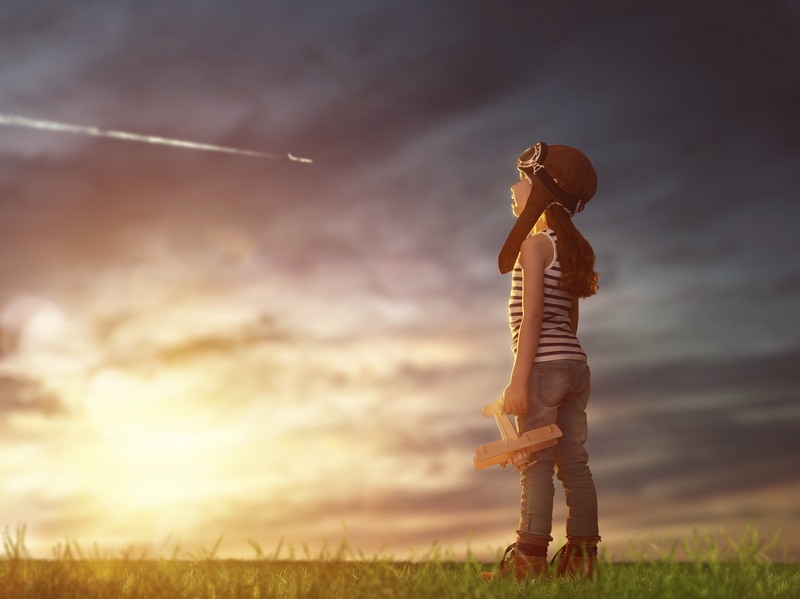 Kristin publicly shares that while she successfully climbed the corporate ladder, she hit a crossroads of feeling like she was “sleep-walking” through a career without a purposeful vision or passion. A recent Gallup study shows that 70% of the American workforce identifies as disengaged from their jobs. This study also suggests that the average person spends 47 hours a week at work, which means a single disengaged worker totals approximately 1,700 hours a year sleepwalking through a career. It’s widely recognized that 47 hours is low for most leaders and is upwords of 60+ hours a week, which makes the potential number an alarming statistic. 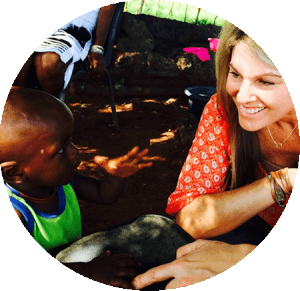 For Kristin, two pivotal events helped open her eyes and change her perspective: a plane ride with a start-up investment CEO and a month-long immersion in South Africa. While she shares the details of those two events in her programs, the outcome of those events was that she unlocked her personal vision for her best life and created a new journey of purpose to unlock the greatness in others. Today she has boundless energy to share her learnings and support people in overcoming their own barriers to personal success and help them realize their maximum potential. Click here if you’d like to learn more and have a free consultation with Kristin to understand how 6th Power™ can guide you to achieving your best life. A Senior Consultant with 6th Power, Steve is also President of Odyssey Consulting and Business Development Services, LLC, which specializes in developing marketing and sales strategies for consumer goods firms. 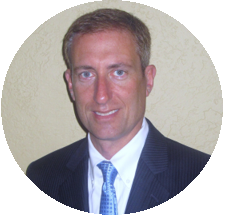 Steve has spent over 20 years in the Consumer Packaged Goods Industry in sales, insights, and marketing roles. A passionate leader, Steve has held progressive management roles with PepsiCo, the largest food and beverage company in the U.S. In his most recent position, he led business development for the Publix, Family Dollar and Amazon teams representing over $1.5B in annual retail sales. 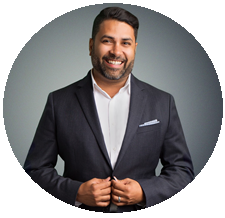 Steve is a results-driven executive with extensive experience in designing winning strategies, building collaborative teams, and developing tactics grounded in company and consumer needs. Steve holds a Bachelor’s degree in Economics from Northwestern University and an MBA in Finance and Marketing from the University of Chicago Booth School of Business. 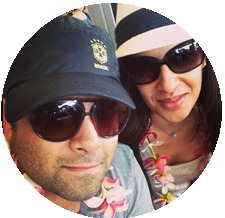 He began his career as an economic consultant at KPMG in Chicago before moving to Orlando with Darden Restaurants as a Marketing Analyst. Steve is a member of several professional organizations including the Food Marketers Institute and the Grocery Manufacturers Association. He has received numerous awards including the PepsiCo National Category Management Award and was proud to be selected as the Co-Chairman of PepsiCo’s Women’s Initiatives Network. He is a frequent volunteer at the Second Harvest Food Bank and an active participant in the Orange County Schools Mentoring Program. 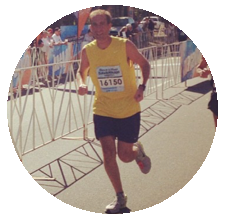 Steve is also an avid runner, having completed 9 marathons to date including the New York City Marathon last fall. He lives in Orlando with his wife, Karen, and his two daughters Jessica, a junior at Florida State University and Caroline, a junior in High School. Caroline, a Rustic Pathways Ambassador, will be attending her third and fourth Rustic programs this summer. 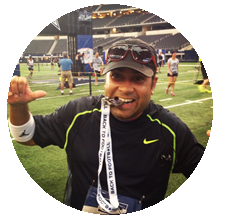 Chetan Bhanot a native of Canada, now living in the big state of Texas, has over 20 years of global business development in the Consumer Packaged Goods industry spanning leadership roles in both, Sales, Marketing and People Development. His passion for linking a global view to building businesses and relationships has earned him a reputation as a “Corporate Entrepreneur” (aka Corporate Cowboy in Texas) – innovatively delivering results, collaborating in ways that build high performing partnerships and bringing a kindred spirit in everything he touches. After a successful results-driven career at PepsiCo, Chetan has emerged as a maniacal entrepreneur investing his time in unlocking the potential of others. Spanning across Executive Coaching to Advisory Services or actual equity stake in a number of startups across different industries, Chetan works to help others build on their own ideas and ignites their inner spark. His experience spans across multiple regions of the world offering an advantaged view of varying ways of doing business across cultures and trading environments. His past and current experiences also help provide a unique perspective on bridging the gap between generations and how to enable success by leveraging the strengths of each. His facilitation style focuses on a balance between building “muscle memory” in an individual through tough role playing but at the same time is able to connect and develop lasting confidence in anyone that works with him. Recognized for numerous industry contributions to understanding why people buy, Chetan continues to be involved in associations that focus on building our future global leaders through organizations such as Junior Achievement – Dallas, the World Affairs Council – Dallas and keynote speeches at conferences or corporate events. Find Out More About 6th Power™ Today!